Q: Joanne, tell us about your series. Is this book a standalone, or do readers need to read the series in order? 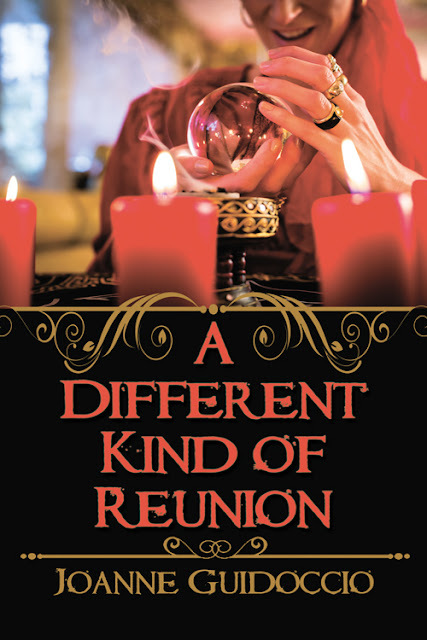 A: A standalone book, A Different Kind of Reunion is the third book in the Gilda Greco Mystery Series. Based in Northern Ontario, these cozy mysteries feature a fifty-something Italian woman, her meddling relatives, deserving and undeserving men, food, and murder. These books do not have to be read in any particular order. A: There is a morning after. Regardless of the many storms in my personal and family life, among them a breast cancer diagnosis, Alzheimer’s disease, and Parkinson’s disease, the clouds finally did lift. What got me through—praying and putting one foot in front of the other as I faced each day. A: Use your “waiting time” effectively. While querying, start writing the next book in the series or an entirely new project. Alternatively, you could take an online course or sign up for a series of workshops. Keep your skills sharp! A: Having lived and taught in different cities throughout the province of Ontario, I felt free to “borrow” characteristics from former colleagues and students to create composite characters. To date, no one has recognized himself/herself. A: While imagining the protagonist of the Gilda Greco Mystery Series, I realized she could easily be my literary twin. In fact, I like to tell people that Gilda Greco is 70 percent of me. As to how I came up with that particular number, let’s just say my well-honed left brain did all the work. Our similarities . . . Italian Canadian, born and raised in Sudbury, relocated to Southern Ontario, mathematics teachers, career development practitioners, yoga enthusiasts, non-foodies. 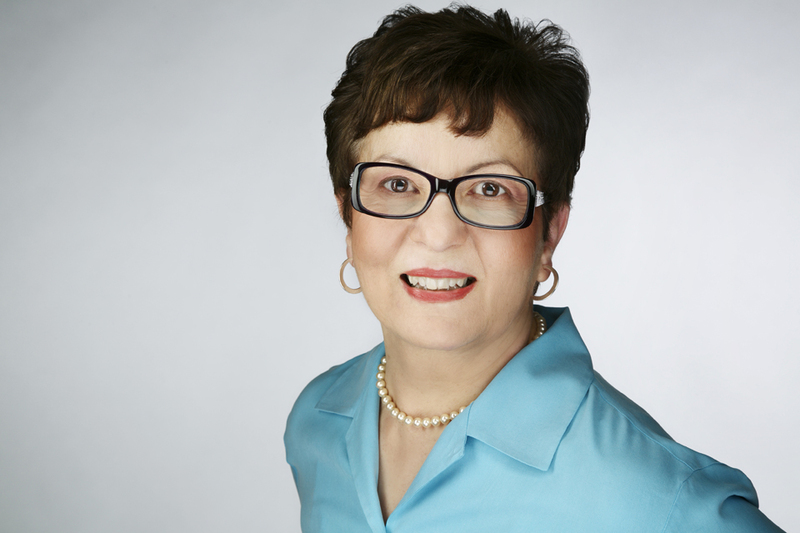 One major difference–Gilda won a $19 million lottery. I’m still hoping! A: I admire late-blooming authors who have launched successful second acts. Two favorites come to mind: Maeve Binchy and Louise Penny. Their novels and writing journeys have inspired me to launch my own second act as a writer. From Maeve, I’ve learned that success is not a pie where only a select few have access to the slices. I’ve taken several pages out of Louise’s disciplined approach to structure my own writing practice. A: I’m reading Grit by Angela Duckworth (hardcover). A: After some experimentation, I came up with a daily regimen. Nothing too dramatic, but it works for me. I like to sleep in each day and enjoy a leisurely breakfast. But after my second cup of coffee, I start writing. My goal is 1,000 words a day. After I reach that quota, I’m free to meet with friends for lunch or coffee and plan other outings. A: When I first retired, I assumed I would be writing in my den. Everything was in place: desk, new computer, bookshelves crammed with novels and craft guides, and inspiring Monet prints on the wall. But after several frustrating attempts, I realized the den was too small. While the room could easily be a second bedroom, it was not spacious enough for my creativity to flourish. So, I relocated to a corner of the living/dining area of my condo. With over 900 square feet of space and easy access to my kitchen and balcony, I no longer feel constrained. In 2008, Joanne Guidoccio took advantage of early retirement and decided to launch a second career that would tap into her creative side and utilize her well-honed organizational skills. Slowly, a writing practice emerged. Her articles and book reviews were published in newspapers, magazines, and online. When she tried her hand at fiction, she made reinvention a recurring theme in her novels and short stories. A member of Crime Writers of Canada, Sisters in Crime, and Romance Writers of America, Joanne writes paranormal romance, cozy mysteries, and inspirational literature from her home base of Guelph, Ontario.